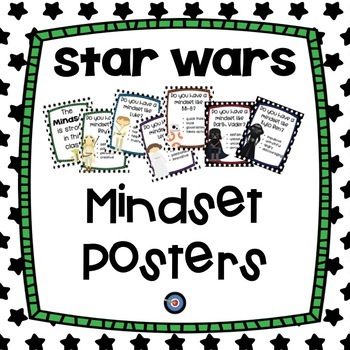 I created mindset posters based on characteristics of Star Wars characters. I changed out my clip chart in my classroom for these Mindset Posters. There is a header and 6 character posters. There are 4 positive mindset characters and 2 negative characters. Each poster is done in a full size sheet as well as a half sized sheet. These have been a nice addition to my Star Wars themed classroom.